Hyderabad: “It is not proper for Naidu to make such hue and cry against the EVMs. The 2014 election was held with EVMs and Naidu won the election. If he wins in 2019 what will Naidu say?” he said while ridiculing Mr Naidu’s accusation of EVM tampering. He said that to ensure development activities are not disrupted in the state, elections to the Zilla and Mandal Parishads will be completed before May 23. 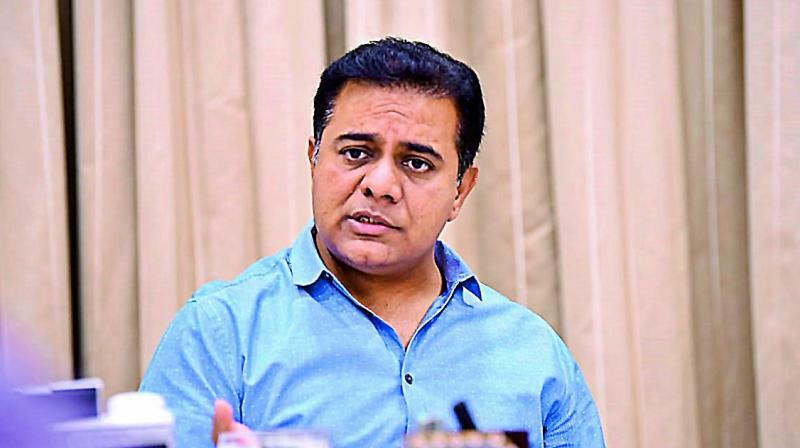 He said the Congress will lose its deposit in many Lok Sabha constituencies, and as for the BJP, there is no place for it in Telangana society. He was confident his party would win 16 Lok Sabha seats. Refuting the criticism of Opposition parties that the polling percentage changed in various Lok Sabha segments within 24 hours of polling, he said that it is common for there to be variations in the polling percentage in every election. He pointed out that election officials indicate the approximate percentage soon after polling ends and the next day announce the actual percentage after receiving the information from all the segments. Replying to a query about Congress president Rahul Gandhi contesting from Kerala, Mr Rao said it will not help the party to improve its position in south India. Referring to the majority margins of TRS candidates, he predicted that Medak will be in first and Warangal will be in second and Karimnagar would likely be in third or fourth position. He said if people from Andhra living in Telangana had not gone to AP to vote, the TRS would have got more of a majority in several seats. The government will bring in a new Revenue Act to make administration corruption free for the people. There are good officers in the Revenue department, but a few disgruntled elements are giving the government a bad name, he claimed. Violence and murders took place in AP during the elections but the elections in Telangana reflect transparent governance, Mr Rao said.